Samsung’s big Galaxy Note 7 debacle and subsequent second and final recall along with discontinuation of the device has understandably left some people wondering what kind of testing was done to ensure the smartphone was safe before it went on sale. 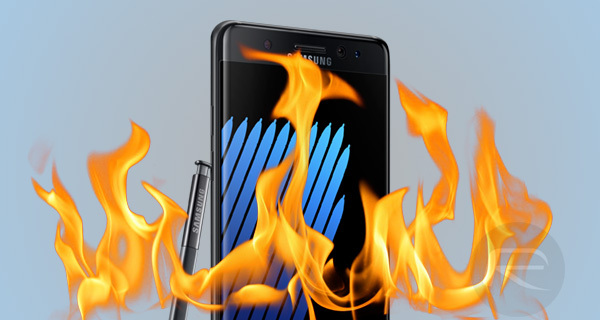 Following reports of batteries catching fire within the affected smartphones, attention predictably turned towards the testing those batteries had undergone before being packed into the Note 7, and then subsequently being shipped out to retailers and customers across the globe. As it turns out, Samsung tested its own batteries rather than using a third-party as other companies normally would. In order to be sold in the United States, smartphone manufacturers must have their phones tested at one of 28 facilities which are specially rated for such things. As it turns out, Samsung has its own facility in which the Galaxy Note 7 handset, and its defective battery, was put through its paces. To sell smartphones at major U.S. carriers, phone makers are required to test phone batteries at one of the 28 labs certified by the U.S. wireless industry’s trade group, the CTIA, to ensure compliance with standards set by the Institute of Electrical and Electronics Engineers. Samsung is the only such manufacturer using in-house battery-testing facilities for CTIA certification, according to the association. One of Samsung’s representatives has already stated that the company found no issue with the Galaxy Note 7, or the batteries used within it during the testing phase. That however has not stopped the device from now undergoing two different recalls, both relating to those batteries. 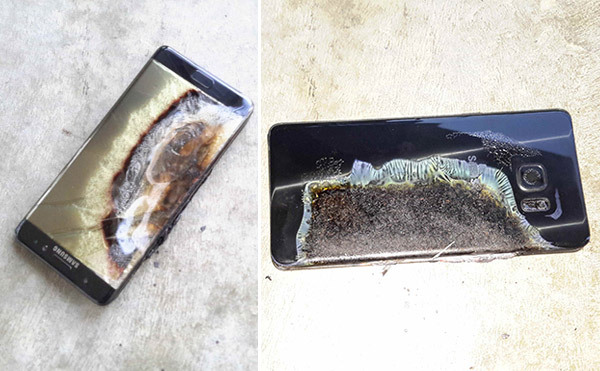 The device has been subject to over 100 reported cases in the United States alone of varying degrees of nastiness ranging from smoke billowing from it, to sparks and flames leaving some users injured, and even damaging property. If that doesn’t make you want to return that Galaxy Note 7 that sits sweltering in your jeans pocket, we’re not sure what will. If you own one, return it for a refund or an exchange with another handset now! it’s not the battery, it’s limits of thermodynamics. Then every li-ion battery would explode… you’re not exactly a bright individual. There’s a reason why you do 3rd party testing. They probably did in-house testing on their exploding washing machines too. Are you implying that every lithium ion battery is identical? Oplix has a valid point in that trying to fit too much capacity into too small a space leaves little room for error in a mass produced product. Lithium Polymers are potentially a safer chemistry, however the downside is bigger batteries. Given the right pressures, heat or poor manufacturing any lithium ion battery can explode. Incidently they are the same chemistry used in all Apple products as well as other major Android phone manufacturers. Would like to have a list of smartphones manufactures which test and receive approval of batteries at Samsung’s facility.